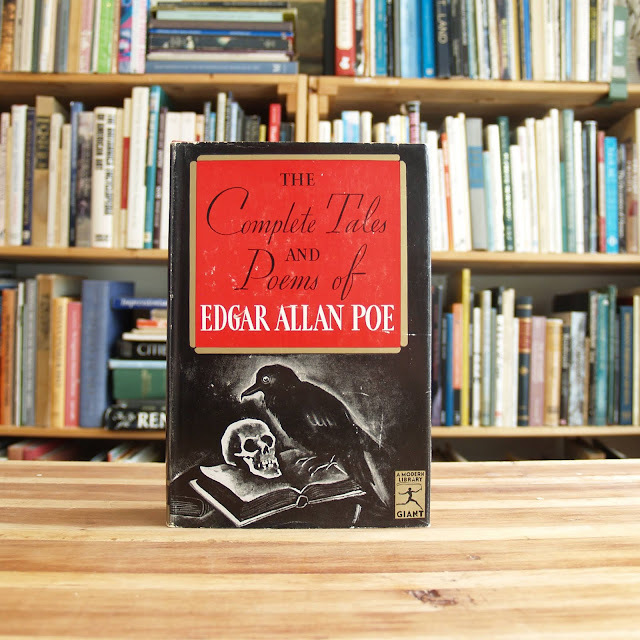 This vintage Poe anthology has a black dust jacket with a black-and-white cover illustration by Galdone. Dust jacket spine is numbered G-40. 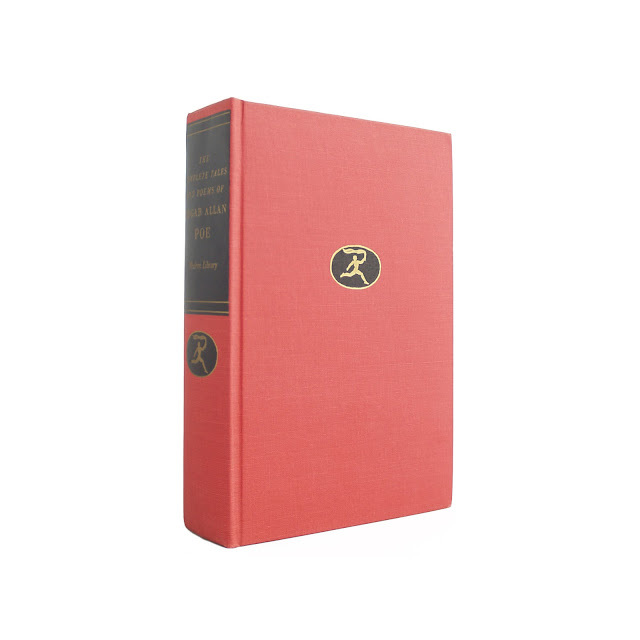 Dust jacket has some wear to edges, light chipping; encased in protective mylar sleeve to protect against any further wear. 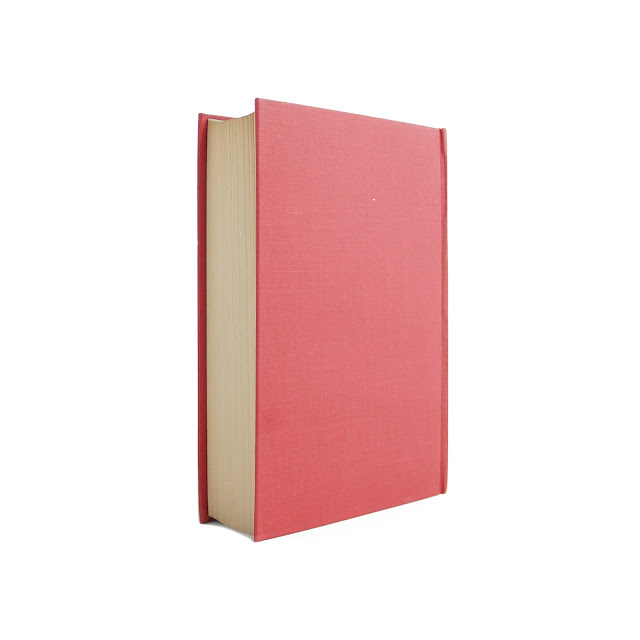 Damage on endpapers where labels were removed; otherwise a clean, tight, unmarked copy. 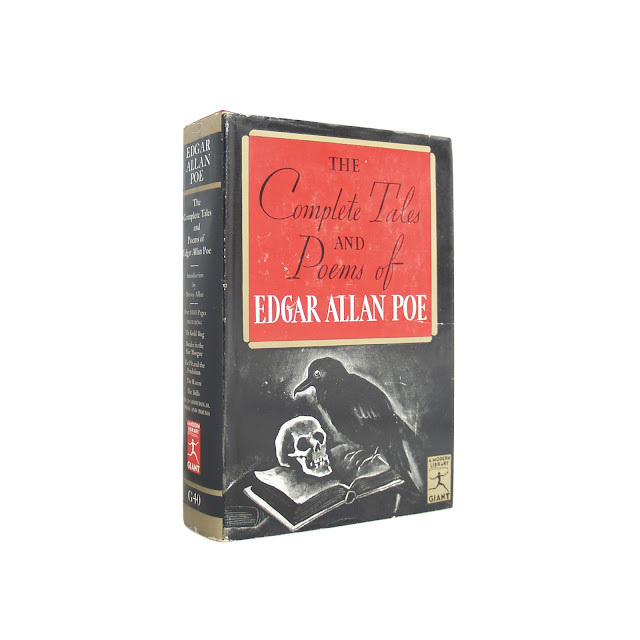 With an introduction by Hervey Allen, this anthology contians all of Poe's stories and poems, as well as two essays. 1026 pages; approx. 6"x8". 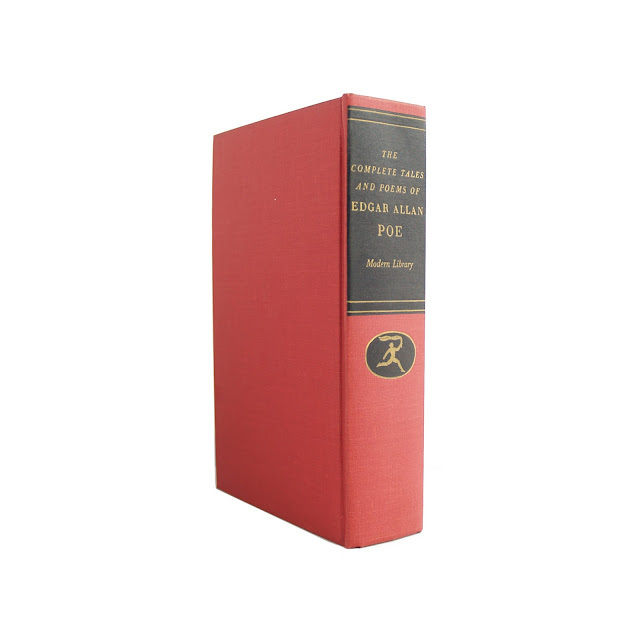 Copyright states 1938, this is a later Modern Library printing from 1945-1963 as it features the "G6" binding style with torchbearer in oval on front cover.